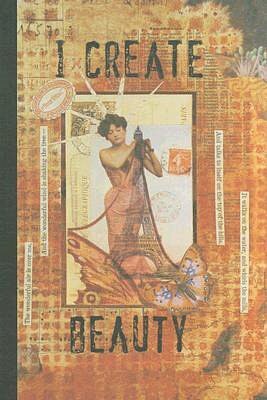 I Create Beauty is another lovely journal available at Amber Lotus Publishing. Beautifully illustrated by artist Kareann Young, this journal contains whimsical prints of keys, 19th Century inspired posters, stamps, gloves and more.. The illustrations come with quotes that are designed to free your imagination and allow it to soar. This is not just a journal for writers, but for artists as well. Each lined page comes with a blank page for sketching, doodling or collage. Each page is carefully designed to inspire you to create. This journal is hardback and spiral bound. It is durable and is printed on high quality recycled paper and printed with soy ink. This journal is also reasonably priced. I Create Beauty is highly recommended for all artists, sketchers, writers and just dreamers who love to jot down their secret desires.